Today, consumers are getting more health-conscious and are willing to be more involved in decision making and managing their healthcare. Therefore, direct to consumer tests (DTCs) are gaining popularity among consumers and healthcare providers. Over the past few decades, the market for DTCs has increased significantly and is expected to grow even more in the coming years. Easy to order: DTC tests can be ordered from home and these tests that attracts consumers. Certain health conditions bring social shame and stigma, therefore some people hesitate to go for such tests, even though they know they are at risk. By doing so, they don't only jeopardize their own health but also pose risk for other family members. By adopting DTCs, they can get their tests done while maintaining their privacy. Accessibility: It is difficult for the people living in rural and other remote areas, to receive proper health services. Sometimes they need to travel miles just to get their specimen collected for the clinical tests, which is quite inconvenient especially when they have to go for recollection due to specimen degradation or other underlying reasons. DTCs tests are accessible to everyone, no matter where the person is located. Awareness: It is always good to be aware of your health status. However, some people usually ignore it just because they don't want to visit a doctor. Certain direct to consumer tests i.e. nutrigenomics and fitness based genomics tests provide metabolic status, diet, and fitness based recommendations2. Such DTC tests bring health awareness to the general population. Direct billing: Since these tests are paid directly by the consumers, therefore, labs don't have to deal with insurance companies' and go through the complicated billing process. Due to ease of payments and profitability labs are interested in developing and offering DTCs. Despite all the benefits mentioned above, there are certain limitations associated with DTCs that can sometimes pose a serious risk to the patients' life. Specimen validity: Most of the DTCs require self-collection of the specimen by the consumers themselves. Although labs offering such tests provide all the necessary instructions for collecting, storing and shipping the specimen, labs have no control over how the specimen was collected/stored/shipped and whether the given instructions were followed during each process. Improper collection and shipment can jeopardize the test results. The type of specimen(s) and the specimen collection kits for such tests should be robust and user-friendly. They should not be affected by any extreme weather/environmental conditions. For examples direct to consumer DNA test offered by 23andme requires saliva sample collected in a specialized collection buffer, which stabilize the specimen for a longer period even at room temperature3. Misinterpretation of the results: Since, healthcare providers have no or minimal contribution in these tests and patients have full control over how they interpret their own test reports. In such cases, patients can misinterpret the results and take health care decisions by themselves, which can be harmful to them4. Consumers sometimes don't understand complicated medical terms and the limitations of the test. The test reports for DTCs should be easy to understand and should not contain any complicated medical terms which can be confusing to the patients. Misleading test report information: Direct to consumer genetic tests that provide an individual's calculated risk of certain inherited disorders can be confusing for the consumer. The reason because each lab tests different combinations of genetic variants by different methods. Here each genetic variant has a unique structural and functional role in the body hence can influence differently if mutated. Therefore, it is difficult to precisely calculate the overall risk. Similarly, direct to consumer genetic tests that provide health and diet-related guidance to the consumer can also be misleading in some cases. There are many factors other than genetics that affects person's metabolism and eating habits5. Consumers should understand that genetic risk is just one piece of the bigger picture. Although the technology has advanced tremendously, however. it is still hard to predict how genetics and the other environmental factors cross-talk with each other. Hence it is very important that consumer should be made aware of such limitations of the tests. Difficulty in decision making: With the advancement in science, wide variety of novel DTCs are being offered by different companies. Sometimes it makes it difficult for the consumers to choose the right one for them. This might lead to unnecessary testing and add to extra health care cost. Also, sometimes consumers can get caught in the deceptive marketing and it is hard for them to find out whether the lab is reliable and is accredited by the state and national regulatory bodies. Which directly and indirectly affects the quality and the reliability of the results. Due to the above-mentioned limitations and concerns associated with DTCs, it is crucial to have federal and state regulatory oversight of the labs offering such tests to ensure the accuracy and reliability of the test results. On the federal level, the Food and Drug Administration (FDA) makes sure that the medical claims made by the company are true before the test is marketed to the consumers6. Recently the FDA issued a statement that describes their efforts in implementing strategies for regulating DTC tests. The FDA established special controls for these tests for assuring accuracy, reliability and clinical relevance of such tests7. The Federal Trade Commission (FTC) safeguards against any deceptive marketing practices and false claims8. Besides this, Clinical Laboratory Improvement Amendments (CLIA) ensures the quality and accuracy of the tests through regular lab inspections and proficiency testing. CLIA categorize the tests based upon the complexity of the tests as waived, moderate complexity and high complexity. However, CLIA cannot control whether the tests are being ordered by the physicians or by the patients themselves9. Hence, another layer of monitoring is required to ensure whether the test is safe if ordered by the patients and should categorize the tests accordingly. Different states have different regulations for DTC tests to determine whether a consumer can order a laboratory test directly, without going through a healthcare provider10. ‍After finishing her Ph.D., Varsha worked in a CLIA accredited clinical lab as a lead geneticist for three years. Thereafter, she joined Laboratory Start-Up Consultants (LSC) as lab director/Molecular geneticist. LCS is a leading consulting company that offers turnkey laboratory start-up solutions for clinical reference laboratories and physician offices throughout the country. 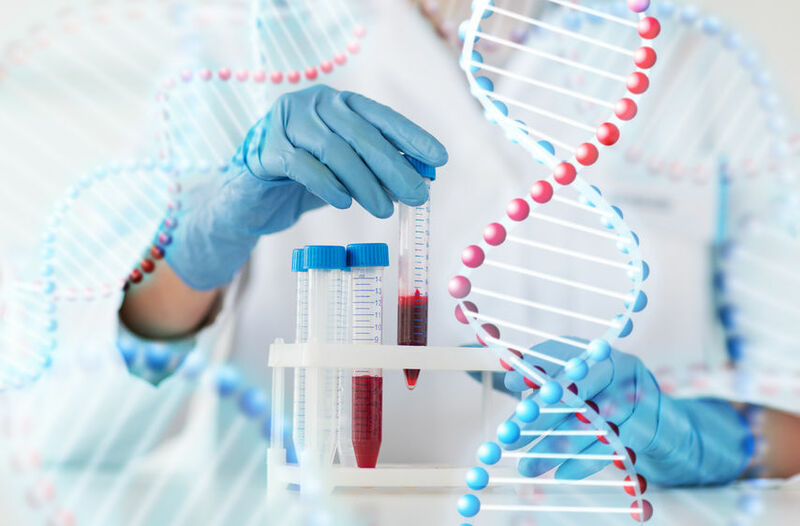 FDA allows marketing of first direct-to-consumer tests that provide genetic risk information for certain conditions, FDA News Release, April, 2017. 10 Habits, Traits, and Preferences You Didn't Know Your Genes Determined, Pathway Genomics, September, 2017. Returning your sample to the lab, 23andme costumer care. Direct-to-Consumer Genetic Testing: Is It The Practice of Medicine? C Marietta, December, 2009. Environmental and genetic risk factors for eating disorders: What the clinician needs to know, Mazzeo S. January, 2009. Direct-to-Consumer Laboratory Testing, American Association for Clinical Chemistry, July, 2015. Statement from FDA Commissioner Scott Gottlieb, M.D., on implementation of agency's streamlined development and review pathway for consumer tests that evaluate genetic health risks, FDA News Release, November, 2017. Direct-to-Consumer Genetic Tests, Consumer Information, Federal Trade Commission. Direct Access Testing (DAT) and the Clinical Laboratory Improvement Amendments(CLIA) Regulations, Centers for Medicare and Medicaid Services. Consumer Access to Laboratory Testing and Information, American Association for Clinical Chemistry, July, 2012.